Dollops of Diane: The Perfect Room for a Five Year Old Girl! I've previously written about how Isabelle had no desire to move in to a room of her own. You can read the full details HERE. However, I'm happy to report that last weekend she finally decided it was time. It was like a switch was turned and suddenly she was all for her own room. 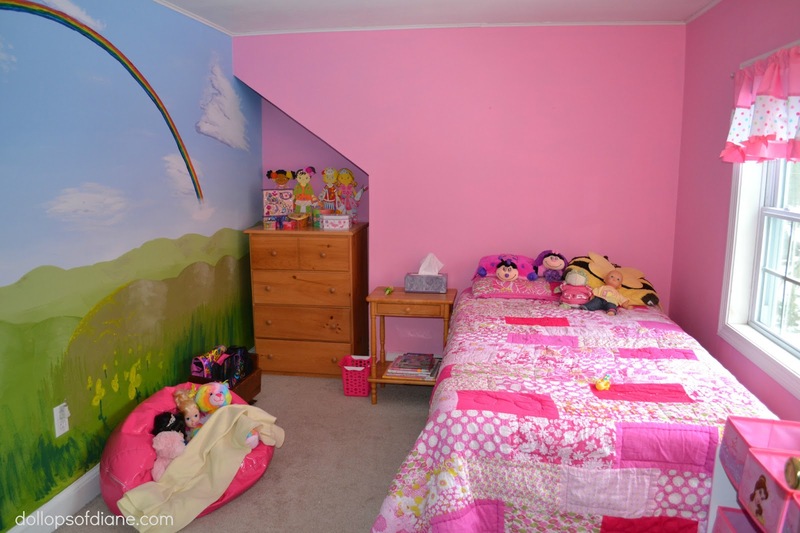 She spent her first night alone in her new big, girl room on Sunday and it was a BIG success. The boys are also excited to be sharing a room now. Well actually, it's really Daniel who is excited to have a roommate since he's always been alone. Each night we've been hearing him yell "HENRY!!!" until finally he passes out. 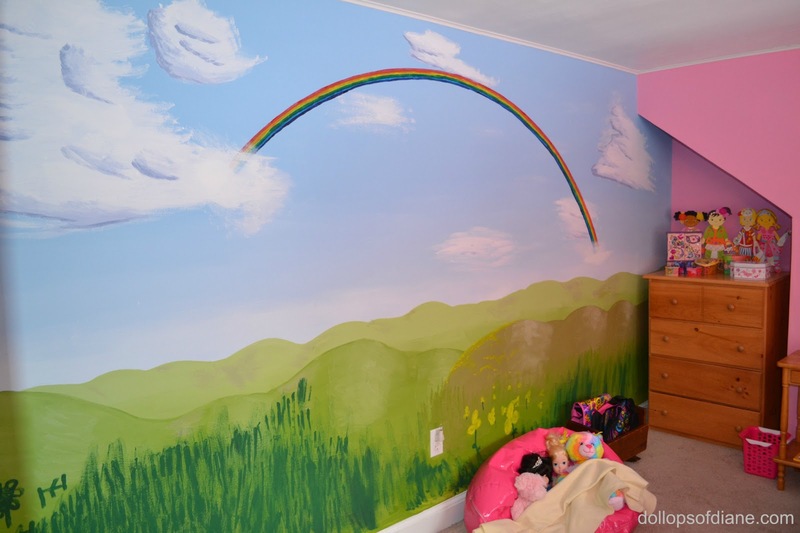 Next on our "to do" list is to paint and decorate their room. Oh, and that rainbow on the wall. Ummm...my husband painted that. I honestly had no idea he could even do something like that. I've never even seen him paint anything before. He's full of surprises.